We Put Two Favorite Filipino Desserts, Leche Flan and Puto, Together Into The Ultimate Mash Up! '90s Kids, We Know Where You Can Get Nestle's Twin Pops! WATCH: We Put Leche Flan And Puto Together Into the Ultimate Dessert Mash Up! 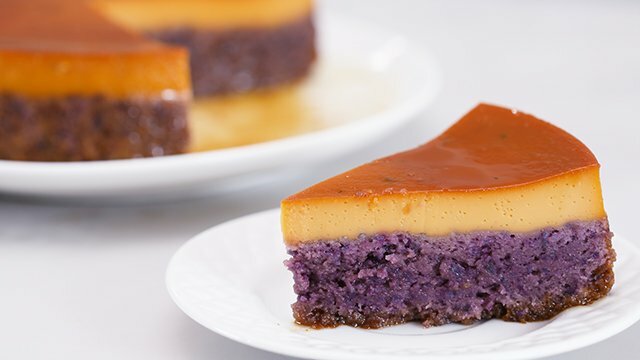 Two Pinoy dessert favorites come together for a treat that's big on flavor and taste. 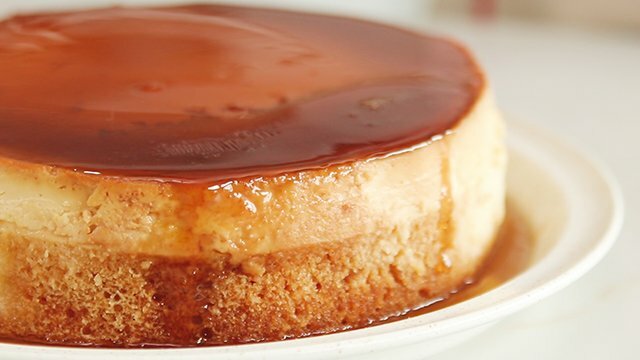 This is one leche flan dessert you won't be able to resist! It's a leche flan baked on top of a puto cake that's made with lots of coconut milk. The soft puto cake on the bottom will soak up all the dripping caramel from the creamy lemony leche flan that sits on top. 1 Preheat oven to 325°F. Place tray with water for the water bath in the oven on the rack. Place an 8-inch cake pan in the oven to heat up. 2 Make the caramel for the Lemon Leche Flan: In a saucepan, add sugar. Place over medium heat. Let stand until edges begin to melt and brown, then swirl the pan, away from the heat as needed to prevent burning, to completely melt the remaining sugar and caramelize. Keep hot. 3 Remove the cake pan from the oven, and pour caramelized sugar into the hot pan. Tap and swirl the pan as needed to spread the caramel evenly over the bottom of the pan. Set aside. 4 Meanwhile, make the Lemon Leche Flan layer: In a large bowl, add then whisk together egg yolks, lemon zest, condensed milk, evaporated milk, and salt until smooth. Pass through a strainer or sieve to remove any lumps. Set aside until ready to use. 5 Make the Puto Cake layer: In a large bowl, sift cake flour and baking powder. Whisk in sugar and salt. Create a well in the middle. Pour in coconut milk, lemon juice, and melted butter into the well. Using a whisk, stir until just combined. Set aside. 6 To assemble, pour lemon leche flan batter over the caramel in the cake pan. Pop or remove any bubbles that form on the surface. Slowly pour the puto cake batter over the leche flan batter. The cake batter will float on top. 7 Place cake pan into the oven with the water bath, and bake for 60 minutes or until the chiffon springs back when lightly pressed in the middle. Remove from the oven and place on a wire rack. Immediately run a knife around the edges and down to the flan underneath the cake. Place a shallow plate with a rim over the cake pan and quickly flip over. Caramel should gradually pool onto the plate. If not, gently tap the pan to help release the flan from the bottom of the pan and remove the cake pan. Chill until cold. Serve cold. WATCH: Coffee Fans Will Fall In Love With This Leche Flan Cake! 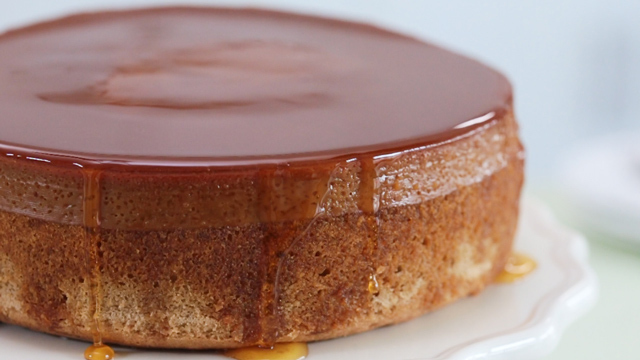 This leche flan cake is infused with the warm nutty flavors of coffee! Ube + leche flan. This will be your new favorite dessert! It's leche flan and a chiffon made into one delicious cake. It's the dessert mash-up all Pinoys will love! 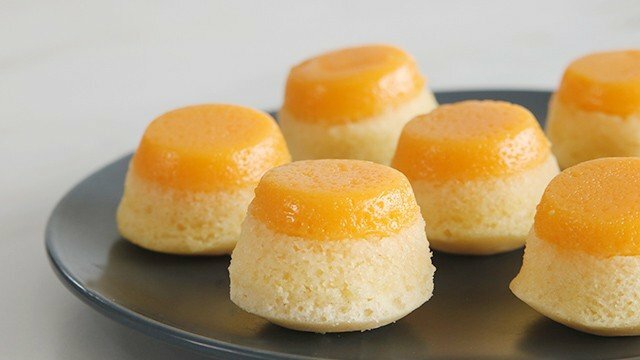 Leche flan meets puto in this delightful, bite-sized Filipino dessert combo. Are you going to the movies this weekend? 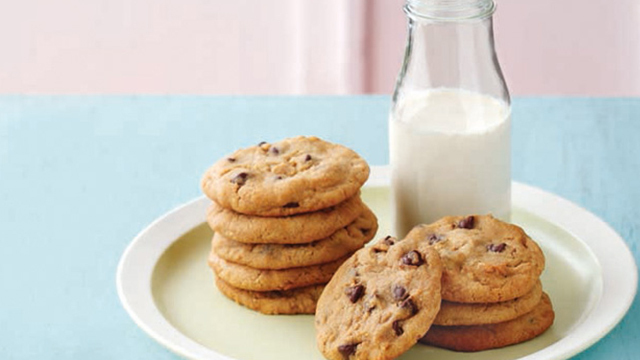 Yes, anyone can make cookies. Yes, A Tasty Canned Cebu Lechon Exists! 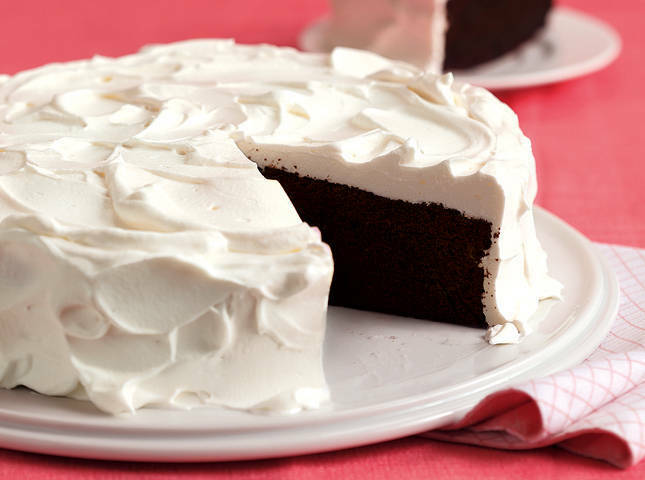 Do You Know How The Devil's Food Cake Got Its Name?